John Legend and his wife Chrissy Teigen have announced that they are pregnant and expecting their first child together. Singer John Legend and wife Chrissy Teigen announced Monday that they are expecting their first child. The announcement comes after model Teigen faced several difficulties trying to have a baby. The “All of Me” singer shared his wife's Instagram post on Twitter. The couple got married in 2013.A month ago, in an episode of her new show "FABLife," Teigen revealed about her pregnancy struggles. Teigen had admitted to the host of the show Tyra Banks that the two have been trying to have a baby for years and eventually turned to fertility doctors for help. "We've seen fertility doctors and once you open up about those things to other people you learn that a lot of other people in your life are seeing these people and they have this shame about it," Teigen said, according to Daily Mail, adding: "It's kind of crazy because I can't imagine being that nosy to be like, 'So, when are the kids coming?' because who knows what somebody's going through." 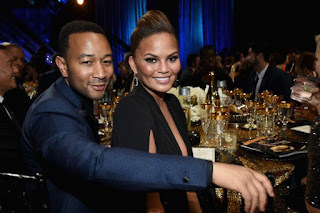 Teigen and Legend reportedly began dating after they met on the set of the latter's music video “Stereo” in 2007.